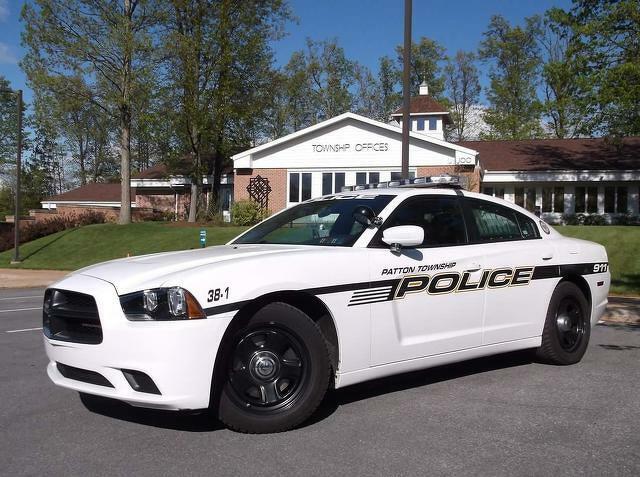 Next month, Patton Township Police Department is looking to become the third police department in the area to partner with CARFAX to use the service as an investigative tool and to provide the public with crash reports online, joining State College and Ferguson Township. The partnership provides investigative tools to the department in exchange for access to crash reports to the service. Crash reports are public records generated by the police department and already available at the station. Through CARFAX, the public would be able to download accident reports, and pay for them online, in lieu of coming to the township building for the documents. Police Chief Tyler Jolly said at a March 13 township board meeting that the partnership would allow the department unlimited access to CARFAX’s crash data base providing many benefits in solving crimes involving vehicles. “A big thing is searching by partial license plate. I can’t tell you the amount of times we get a call where someone says the last three numbers were 2-3-4 or the first three letters were this. It is very difficult for us to search with the resources we have now. This would be a huge benefit for our patrol guys to be able to run something and find out more information,” said Jolly. He said the Vehicle Identification Number alert system provided by the company also would be very helpful for investigators who might be investigating a large crime. If they know the VIN number of a vehicle involved, Jolly said they can use CARFAX to help track that particular vehicle. “If we know the VIN for the vehicle we can put it into the system and if it gets an oil change in Sacramento, California, we are going to know that and where that vehicle is at and potentially where our suspect is at,” said Jolly. Jolly said it also will help provide collaboration with other departments who might be looking for the same vehicle. “If someone else is looking for the same vehicle for a crime, they will actually put us together and say ‘Hey, you guys are looking for the same vehicle,’ to work together and help solve some crimes,” said Jolly. He said the police then would provide CARFAX with non-reportable and reportable crash documentation. He said crash reports would still be available at the township building for those who would prefer to get them that way. He said officers would give out information about crashdocs.com at the scene of a crash and there would be a link on the township web page to direct people to the site. “Their investigative tools are really strong and really would be beneficial to us in the long run,” said Jolly. He said the department is hoping to start the partnership at the beginning of May. The fee will remain $10 for the crash reports and all that money would still go to the township. Jolly said that CARFAX currently partners with about 2,500 agencies across the nation in the program including two in Centre County, as State College Borough and Ferguson Township police departments already use the service. State College Lt. Greg Browser said the service is an additional tool that the department can use for sending alerts about stolen vehicles to anyone that uses CARFAX, such as car dealerships. He said the main use is through the crash reports that are available online through the crashdocs.com web site, allowing access without having to come to the station. Over in Ferguson Township, Sgt. Ryan Hendrick said the department has been using the service since January and the benefits are two pronged. He said the convenience factor of generating accident reports online is a benefit for the community and for his staff who no longer have to take the time finding the paper work on accident reports when people would come in and pay for them. He said the investigative tools are very intriguing because while they have resources that connect with other departments to locate vehicles, the CARFAX alerts come from thousands of business that are partnered with CARFAX, providing a broader search. He said they have not used the tool very much as of yet, but when they have it was successful. He said it could very useful in the future as an added investigative tool. 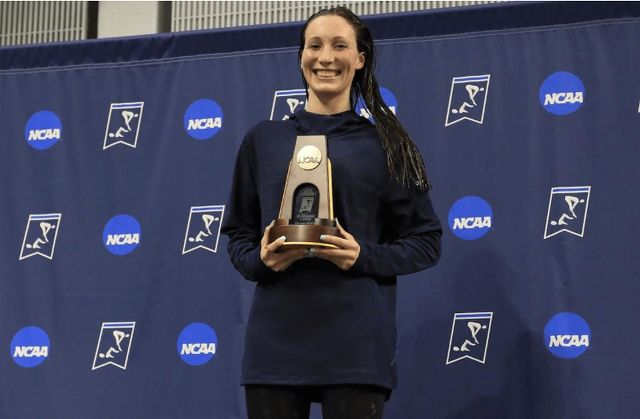 Ally McHugh became Penn State women’s swimming and diving’s first-ever NCAA champion at nationals on Saturday in Austin, Texas, out-swimming her competition in the 1,650-yard freestyle by five seconds. The senior posted a time of 15:36.27, which was a school record and eight seconds better than her Big Ten championship-winning swim in February.